NGC 7822 is the wavy red nebula at top center. 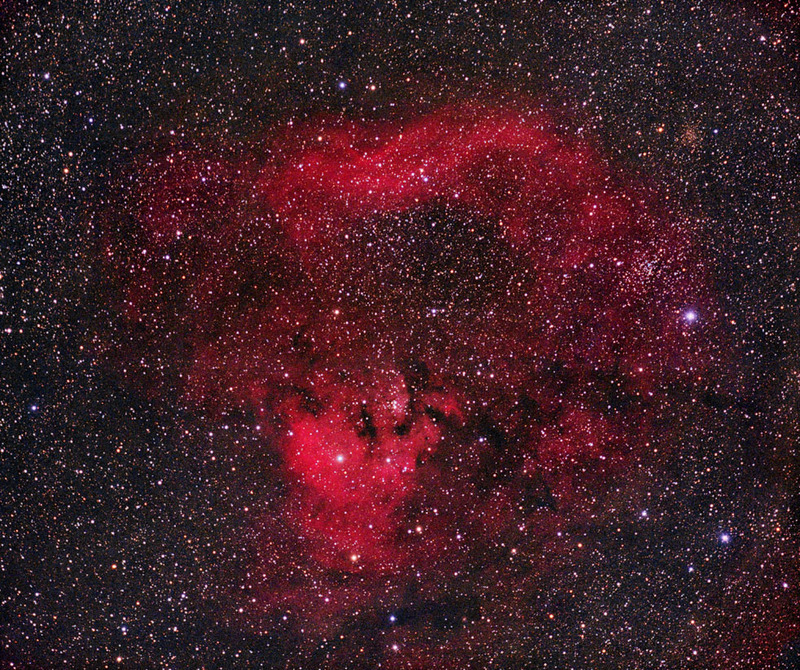 Cederblad 214 is the red nebula at bottom center. At right is the open cluster NGC 7762. At upper right is an old open cluster with orange stars named King 11.